07 Feb 2019 --- With just 50 days to go until the UK crashes out of the EU, there is still no sign of a deal. 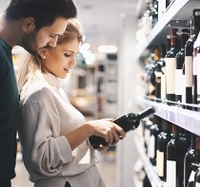 A hard Brexit is looking increasingly likely, and the British Government is issuing guidance on food and drink labeling in the event of a no-deal scenario, claiming that preparing for “every eventuality” is the responsible thing to do. In the event of a no-deal, food businesses will have a 21-month transition period for the most significant changes to food labels – which include not using EU logos, emblems and making sure origin labels are correct. But there are some technical changes to labels that will be required from day one. Despite repeated warnings of avoiding a “cliff-edge” situation where the food supply chain could be plunged into chaos after the March 29 deadline, a “no-deal” remains on the table, unless UK Prime Minister Theresa May and EU politicians can agree on a way forward. In any case, the UK’s Department for Environment, Food and Rural Affairs (Defra) says although delivering a deal with the EU remains the government’s top priority, it has issued updated advice for food producers, manufacturers, retailers and suppliers on the changes to food labels if the UK leaves the EU without a deal. The EU emblem must not be used on goods produced in the UK unless a company has been authorized by the EU to do so. The EU organic logo must not be used on any UK organic products unless the UK and EU reach an equivalency arrangement – where both still recognize each other’s standards – before exit day. Businesses can continue to use their approved UK organic control body logo if they qualified to use it before Brexit. It will be inaccurate to label UK food as origin “EU.” Additional information such as signage in shops and online information will help clarify to the consumer the origin of the food. However, products that have already been placed on the UK market on or before deadline day, can continue to be sold until stocks are exhausted. During the 21-month transition period, businesses would need to make other labeling changes such as ensuring there is a UK address for the responsible Food Business Operator or importer on the label. Meanwhile, there will be a three year transition period for the new UK Geographical Indication Schemes logo. The new UK logo will be available from March 29, 2019, so producers have the option to make Geographical Indication (GI) labeling changes before the end of the adoption period if they wish. All changes will be subject to parliamentary process. Last month, a Rabobank no-deal Brexit report warned the UK to expect food price inflation as EU trade restrictions emerge for Britain. In the absence of a Brexit deal, the UK will become a “third country” to the EU which means that UK companies would lose access to the EU market for exports of most agricultural products, due to the introduction of import tariffs at the EU border, according to the Rabobank analysis. This follows a similar report from Barclays in September 2018 which calculated widespread disruption and price hikes with the “hard Brexit” model forecast to create an average tariff of 27 percent for food and drink supply chains which is significantly more than the 3-4 percent levy that would hit non-food products. The report concludes that failing to reach a Brexit deal could end up costing £9.3 billion (US$12 billion) a year as food retailers and their supply chain face a mass of additional tariffs as a result of the UK not negotiating a trading deal with the EU. For goods placed on the UK market after March 29, 2019, where, as a result of EU Exit, the information is technically incorrect (for example, UK products labeled as origin “EU”), the UK government will encourage enforcement officers to take a “pragmatic approach to enforcement.” This, says Defra, would fully protect the interests of consumers while ensuring industry players are able to manage the scale of labeling changes required. However, the UK Government has no control over how food labeling changes will be enforced outside the UK. EU and other non-EU countries may require the food labeling changes are made sooner than March 29, 2019, to export to their markets, warns Defra, recommending that food and drink businesses should seek advice from their EU importing contact on the EU’s labeling requirements. “The EU and other non-EU countries may require wholly accurate labeling for access to their markets. In these instances, we would recommend labels are replaced or over-stickered as required to ensure they are fully accurate,” Defra notes. If businesses export UK products of animal origin (POAO) to the EU, they must replace the EU oval health and identification marks with new UK health and identification marks, which have yet to be released. Businesses can continue to use the EU oval health and identification mark on POAO from and sold in the UK until December 31, 2020. The new UK health and identification marks for POAO will ensure that UK products continue to display an appropriate label that clearly shows the product has been subject to the strict health and welfare checks that, Defra says, will continue after the UK leaves the EU. Meanwhile, the UK Government says it is talking to countries about new marks and will update its guidance if there are further changes. There will be a 21-month transition period that will allow POAOs, produced and sold in the UK, that carry the oval identification mark, to display the EC identification mark. If businesses are part of the Approved Trader Scheme, they must remove the EU flag from UK food labels and use the replacement UK label instead. There is a similar rule for blended honey and olive oil. If the honey or olive oil is a blend from different countries, businesses must list each country of origin on the label, or state “blend of [honeys/olive oils] from more than one country” (or similar wording) on the label. For beef from live animals imported to the UK where the country of origin is unknown, businesses must replace “live import into the EC” with “beef from a live import into the UK” on the label. Brexit No-Deal Cliff-Edge Labeling Country Of Origin Beef Veal Eggs Fruit Vegetables Imports Exports Honey Olive Oil.